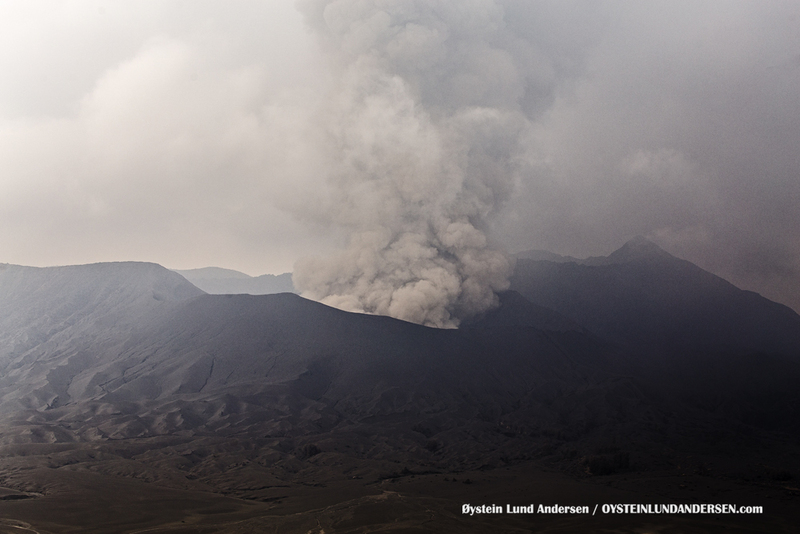 Updated: 4th January 21:10 local time. 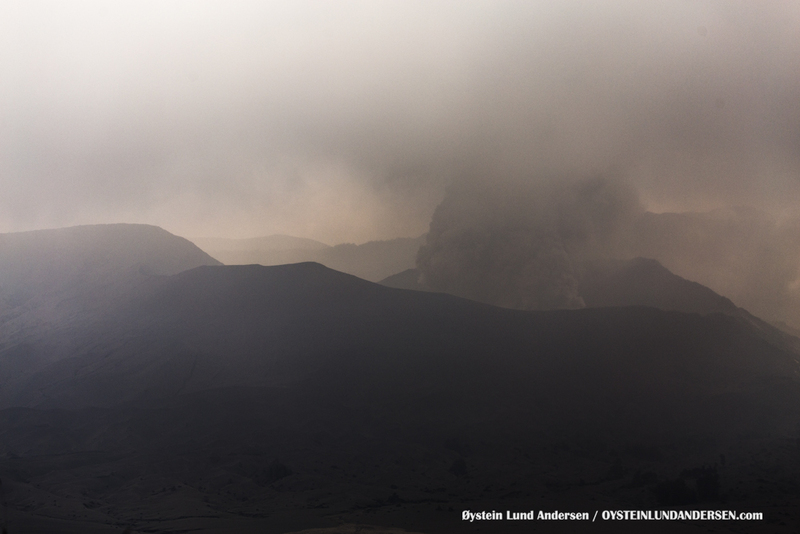 Weather was rather poor throughout the day and offered only a few windows of observation. 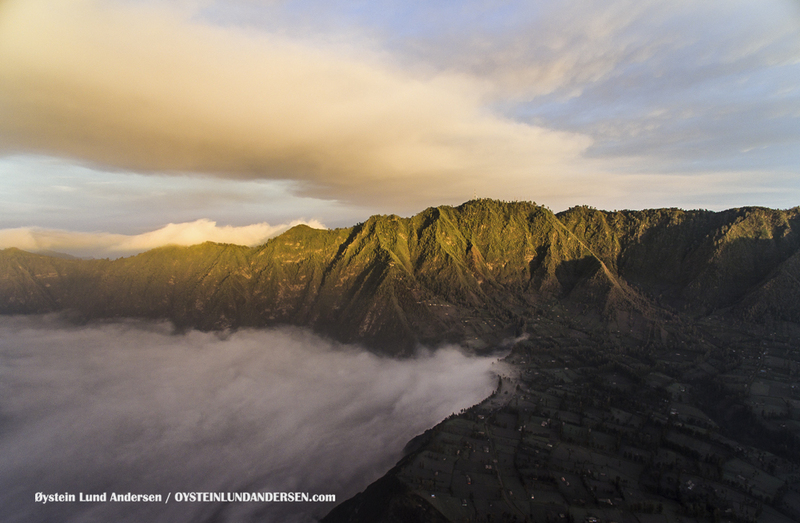 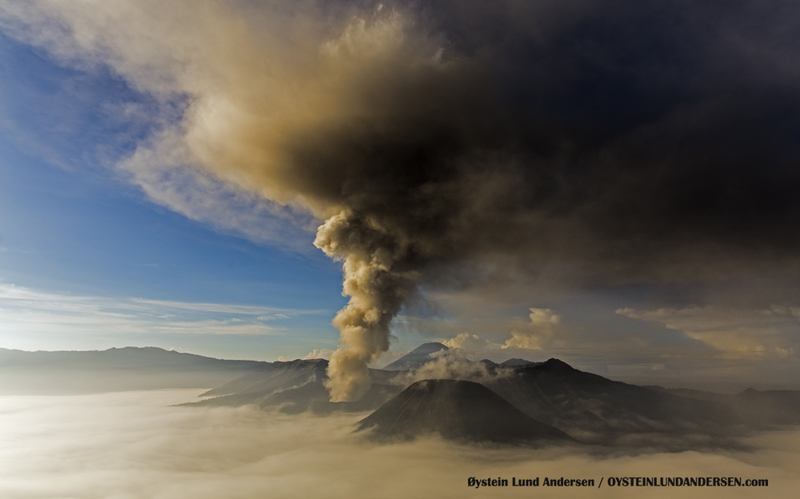 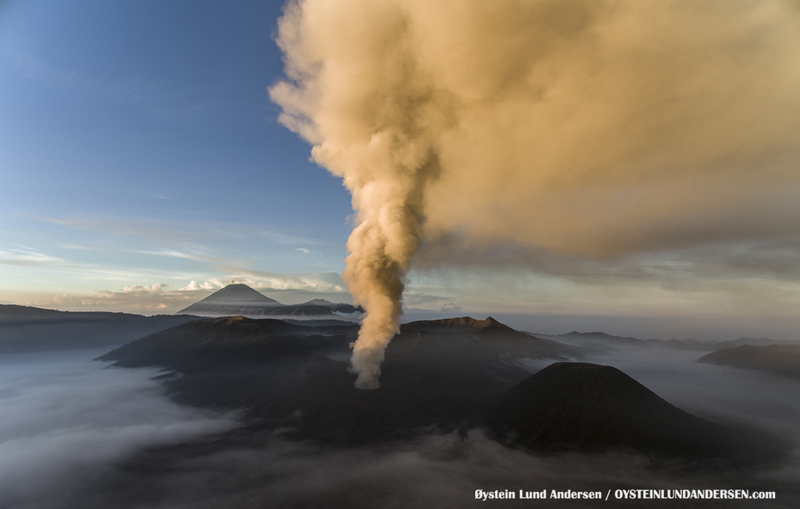 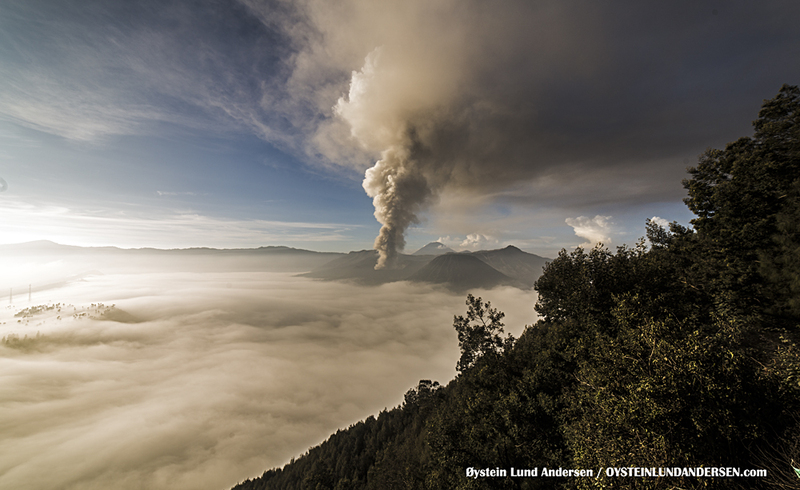 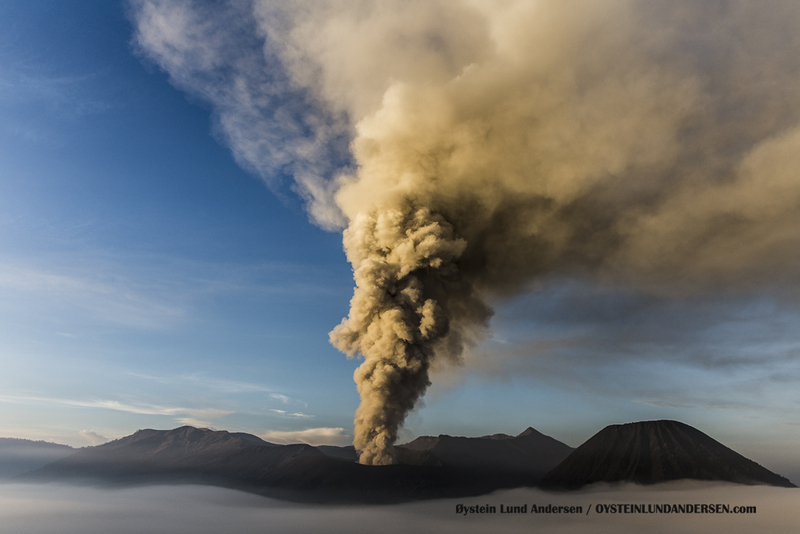 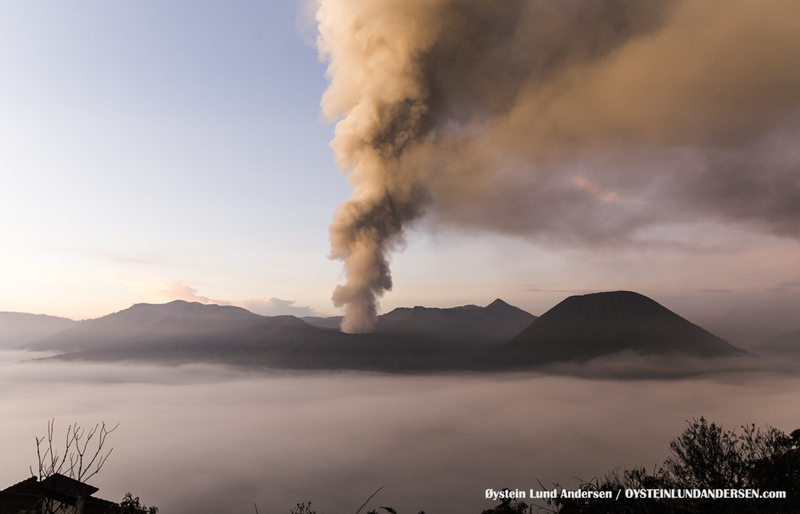 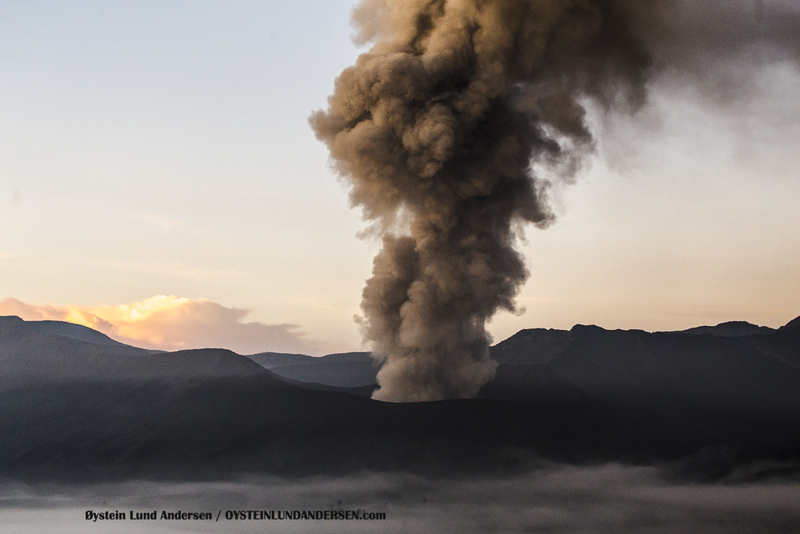 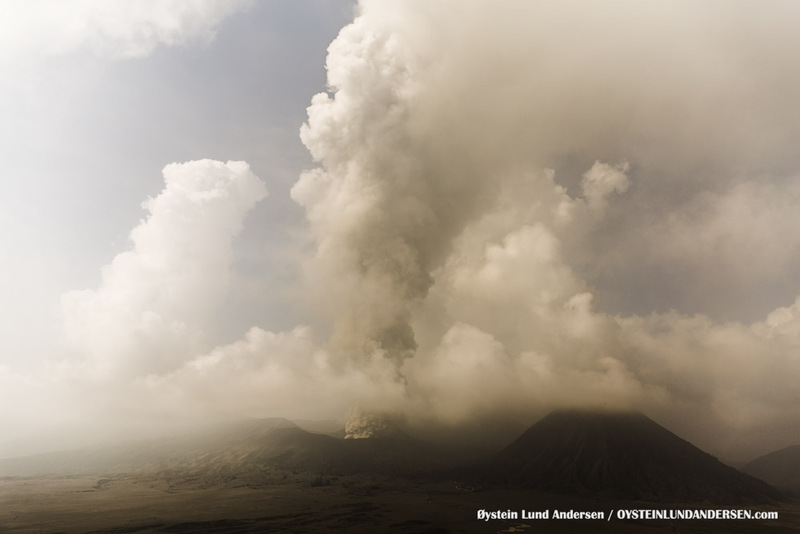 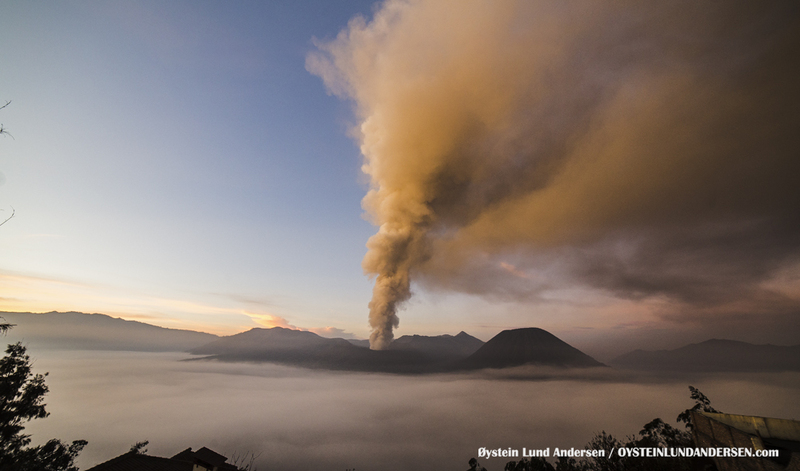 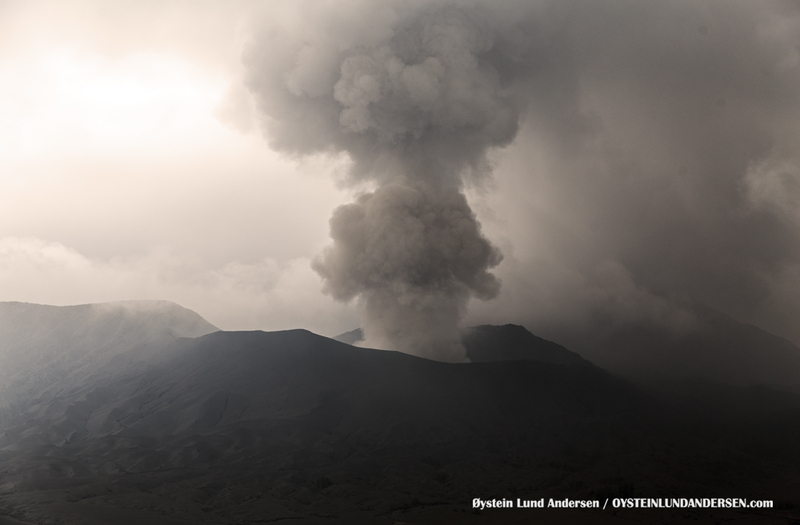 When observed, Bromo was seen sending up a plume to a height around 800-1000m. 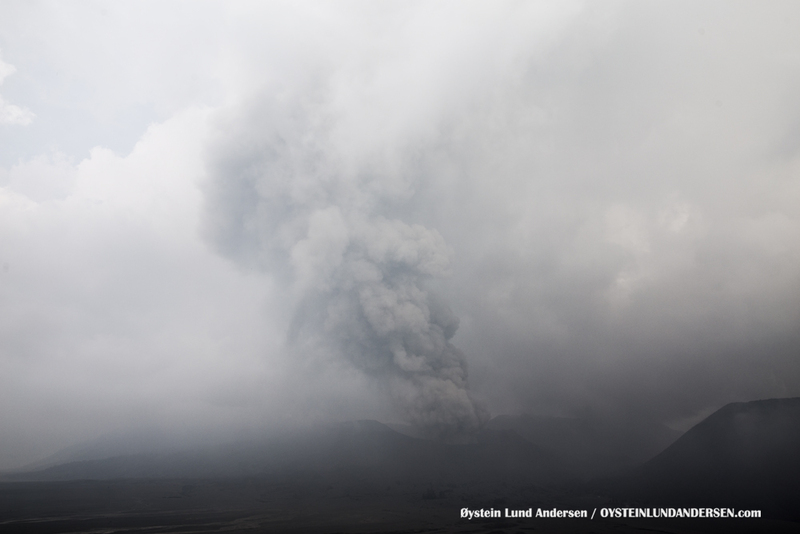 No rumbling sounds were heard from the eruption or lava glow at night. 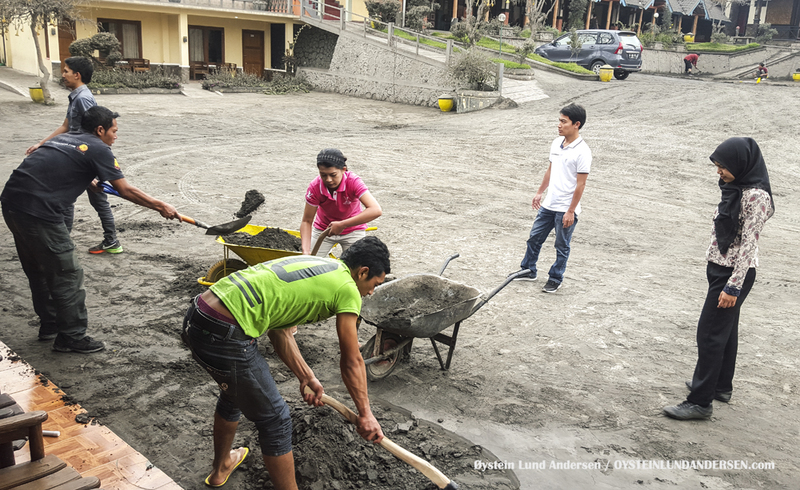 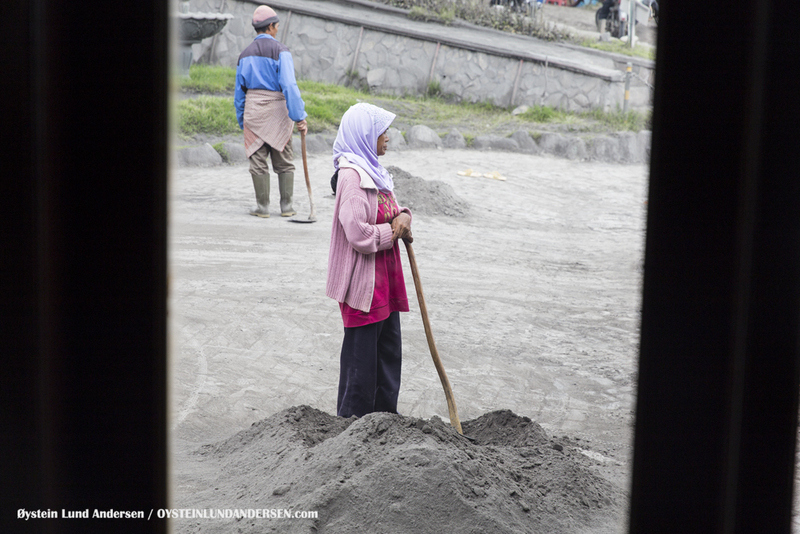 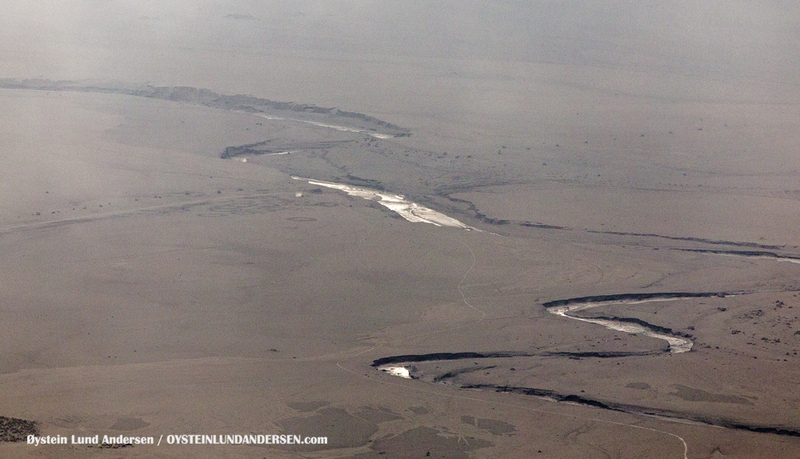 In the afternoon however, Lahar`s were observed (see photos below), accompanied by distinct sound of flowing material. 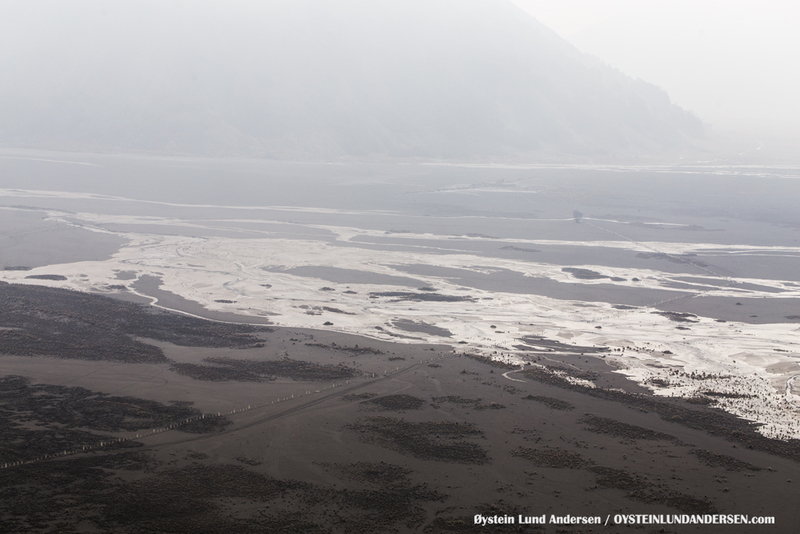 Lahars were seen on twice occurrences throughout the afternoon. 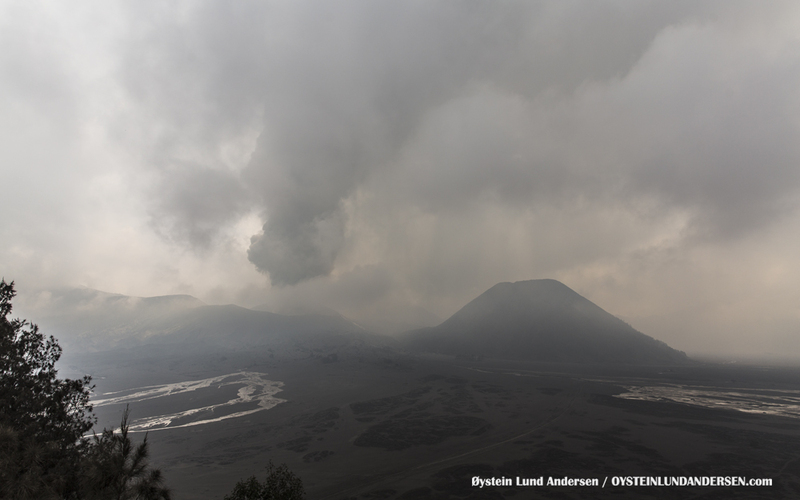 It was a rather interesting experience, since no rainfall was observed on my point of observation, but must have occurred and triggered the Lahar in the vicinity of Bromo. 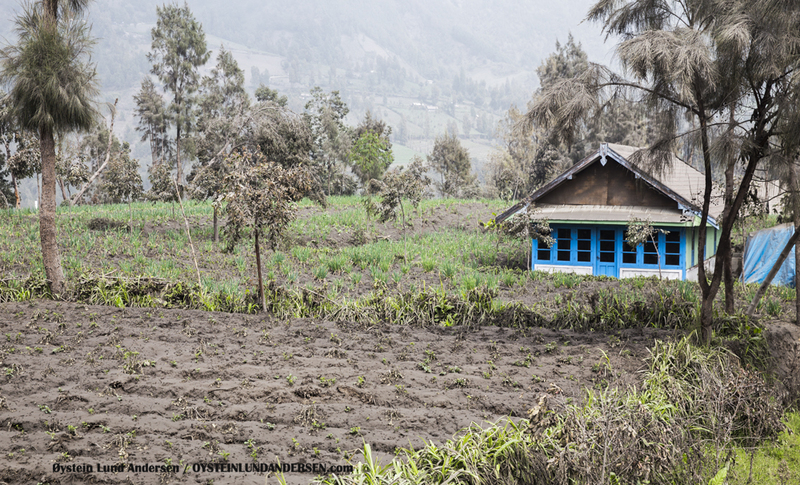 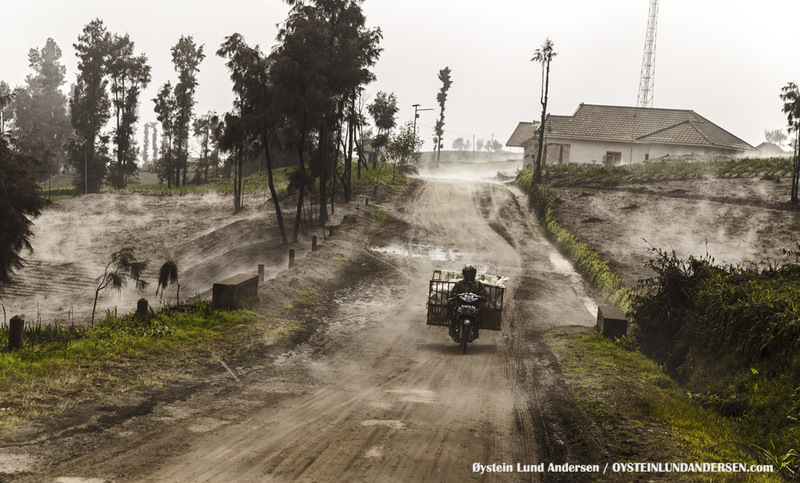 Upslope fog i the morning on farmlands in the village of Cemara Lawang. 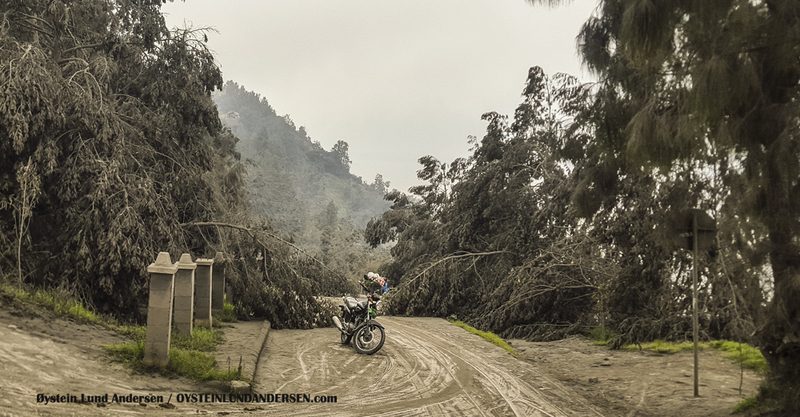 Heavy ashfall in recent days have collapsed trees and made the surroundings gray. 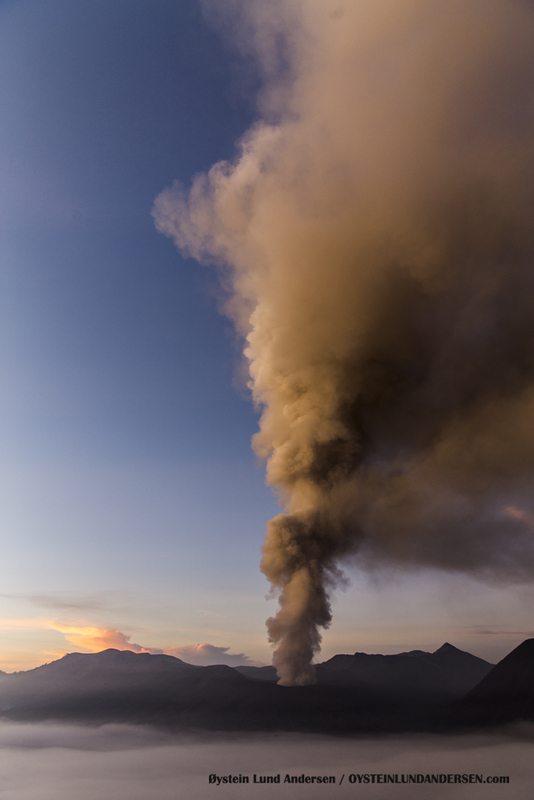 Ash covered my trail-cam that has been taking photos of Bromo for 2 weeks. 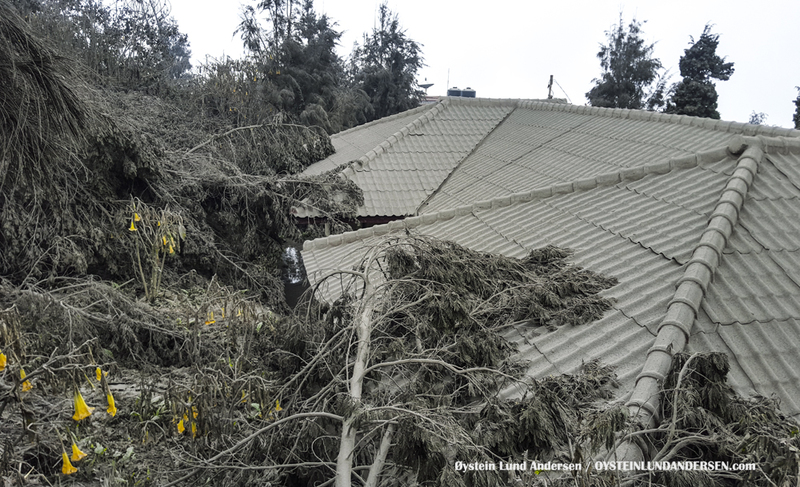 Collapsed tree on rooftop. 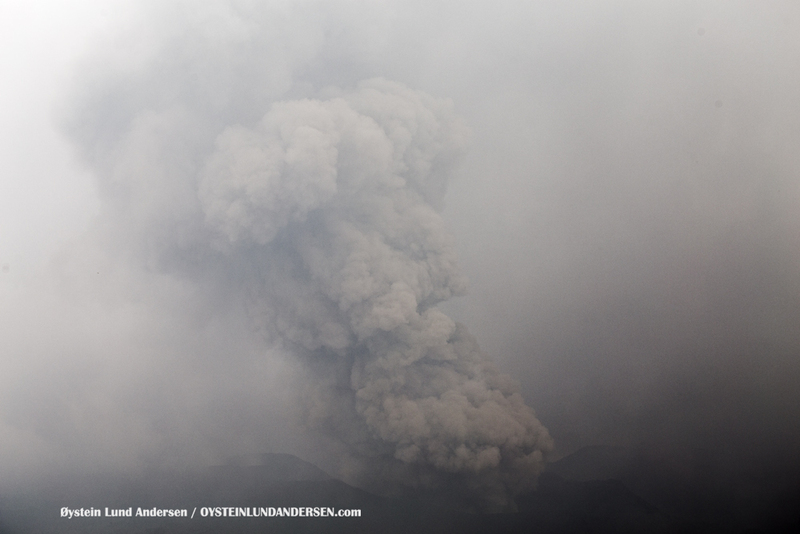 If ashfall continues it may collapse houseroofs, if not cleaned. 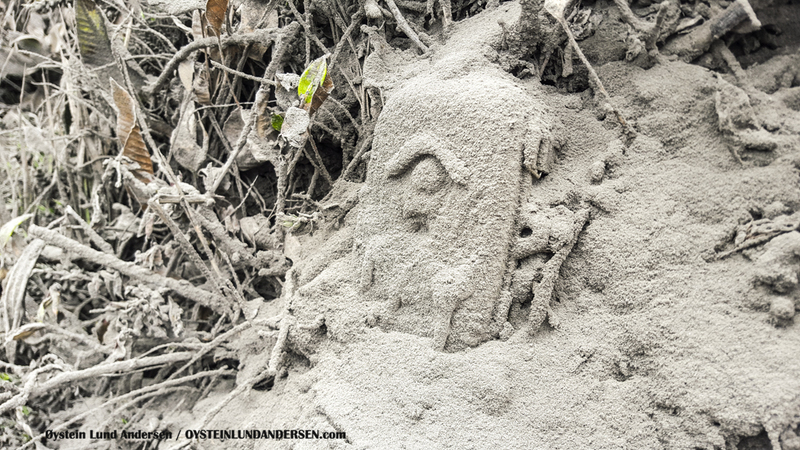 Ash is cleaned from the parking lot of a hotel. 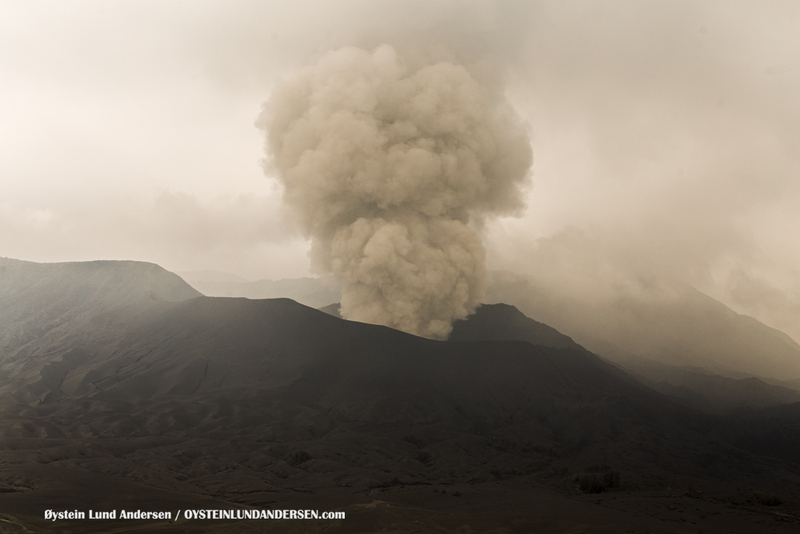 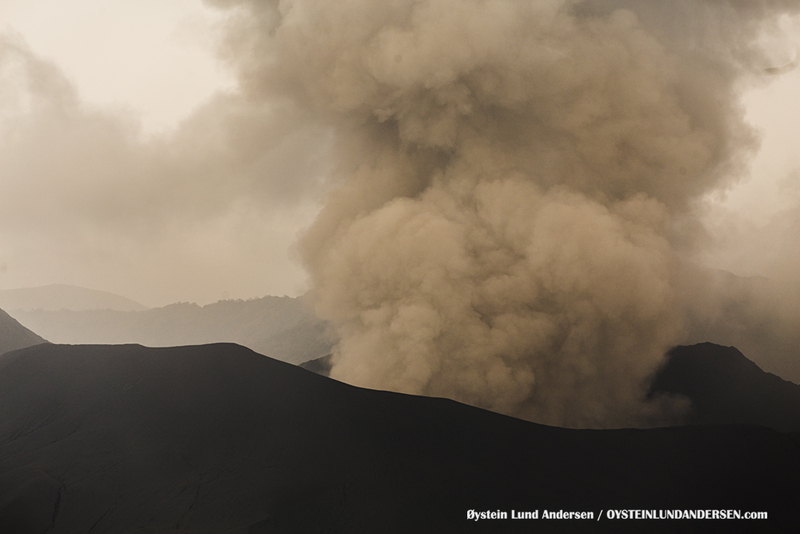 Eruption plume reached up to 1000m or higher above Bromo today. 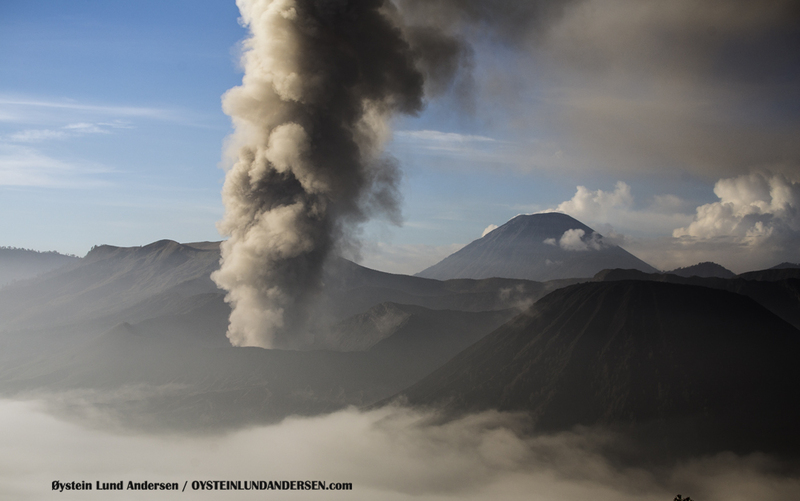 Lahars were observed in the afternoon near the foot of Bromo, similar to what was observed yesterday.